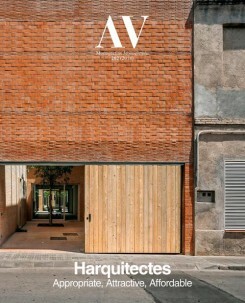 The Barcelona-based studio Harquitectes is a model in its ability to provide value to public or private clients, in its responsibility when intervening in heritage buildings or urban environments, and in its determination to pursue sustainability in terms of energy, waste, or the life cycle of materials, issues which they address with unique thermodynamic sophistication. Besides exhibiting smart design and construction, their buildings are also aesthetically sophisticated in the use of basic materials and economical in their budgetary discipline. This special overview features twelve local Barcelona projects (“experiences”): designs for living, education, research, and civic functions.